Recruiters are expected to create lasting connection, deeply understand their audience, and draw candidates along on an inspiring journey. At the same time, a recruiter must vet for quality and convey the core culture of the company. That's why stories are a recruiter's best friend. 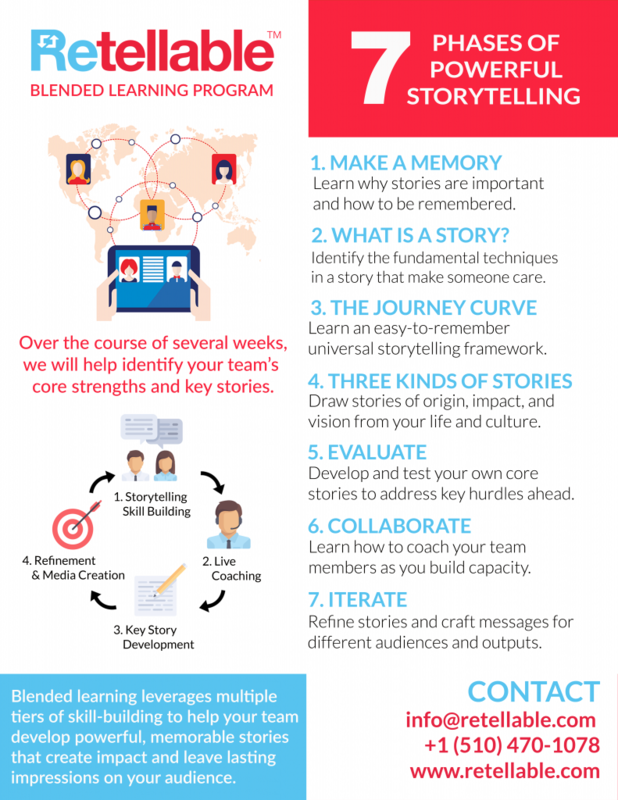 Our blended learning course helps recruiters find their key stories, build valuable skills, and share knowledge across teams. It's team building and content building, too: the course helps participants to draw key insights from the company's values that will both convert candidates and create stories to share with the larger team in the months and years to come.